The UK will have no choice but to leave the European Aviation Safety Agency (EASA) after Brexit, according to reports that EU negotiators are taking a hardline on aviation. “UK membership of EASA is not possible,” the European Commission said in a recent presentation. The main reason is that the UK has ruled out accepting the jurisdiction of the European Court of Justice. This raises the possibility of the UK CAA having to create new departments to certify aircraft and parts, as well as operating its own licensing regime for pilots and maintenance engineers. So far, the line of the UK government and the CAA has been to remain part of EASA after Brexit in March 2019. 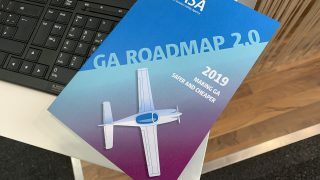 ADS, the trade association for UK aerospace industry, estimates it could take approximately 5-10 years for the CAA to rebuild its safety regulation capability to fill in those responsibilities which EASA currently holds. 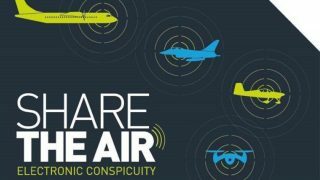 “Remaining a member of EASA is a more cost-effective and practical solution to maintain safety and competitiveness,” said a spokesperson. The UK must be free from jurisdiction of the European Court of Justice and become a sovereign state once more. So the CAA should be preparing now. The membership of the EU has always been legaly questionable as it is an act of treason to place the crown under the authority of any foreign power. On the 8th of April hundreds of UK pilots will be grounded by EASA regulations which will require EASA medical certificates and will undo the excellent work the CAA has done in this area. The crown is an outdated and undemocratic institution. It is time we became a republic and the European Union is made up of democratically elected MEPs so has to be a better option. It is time people realised the UK CAA, along with the rest of the UK, can continue being world leading in their field as part of the EU or we can go to being an insignificant island nation. EASA may not be perfect but I for one will be changing my UK issued EASA licence to another EASA state if the UK leaves. Ensuring the medical fitness of pilots to a higher level is not in any way a problem. 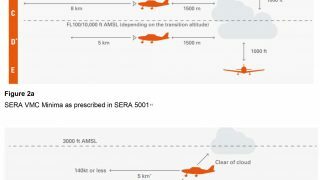 If you look at the UK CAA allowing Type 1 diabetes in commercial operations against the rules of EASA there is still scope for differences and indeed the ability to shape future EASA rules. Firstly the Crown is an important part of our constitution. For example It separates the Judiciary from the Executive which prevents the Judicary being interfeared with by political pressure as we see in many other countries. The EU is not a democratic institution. MEPs have no powers to create laws or to repeal them. Republic? Like that’s going to happen. Same as the EU having democratically elected leaders. The eu is a corrupt, enelected burocratic mess on the verge of bankruptcy. Their are plenty of associate members of EASA already and no reason why we can’t be one too. Blocking this is just another ploy by the eu to try to stop us leaving. If we go for a Norway type deal, then like Norway we can still be part of EASA. All British Pilots licenses will soon be uterly useless. Only useful for flying in Britain. Two world wars and now by the brainwashing skill of Farage. His cult will lock us all up in this tiny smallminded. Prison Island Brexatraz. It was British CAA together with crazy Dutch and French guys engaged very much in creation of EASA , just against german LBA. Result is crazy set of rules , now Brits are dissappointed – great !!! “just against german LBA” where is your proof for this ridiculous accusation ? I realize that you Brits still hate Germans and Germany, still it was the EU Commission and parliament who wanted a joint AA and the LBA NEVER had a say in this. NEVER. Does that mean my ppl,a issued in 1986 will still be valid? Does this mean it’s not even worth converting my NPPL M to a LAPL? You would hold both licences after ‘converting’ anyway. Your NPPL won’t cease to exist when you apply for your LAPL. Just crack on with it I say. It depends how old you are. I hold a NPPL with M and SSEA ratings with about 900 hours. I’m tall with a solid build and my weight is right on the upper limit for microlight flying and I’ve been regularly flying club PA28s when I want to take passengers. But I’m 65 years old and now I won’t be able to unless I convert to an EASA licence which will require me to jump through all sorts of medical hoops (my GP won’t help). It’s just a little too much expense and hassle, so I’ve decided to give up flying and spend my money on something else. Thank heavens I have an faa cert. Yet another example of the Brexiteers holding ambiguous, unattainable concepts of “sovereignty” and some warped sense of British exceptionalism over the practical and tangible benefits of remaining an active participant of the European Union. That 350 million a week is going to get used up pretty quick needlessly duplicating government work like this. Could those that say that then please clarify why Norway is an EASA member state, but also isn’t governed by the ECJ? Having just returned from doing some aviation related work in Norway I find this difference to be quite interesting. I believe that also applies to the Swiss relationship to EASA…. EFTA countries are participants in the EASA scheme under article 66 of the basic regulation. They also participate as members of the management board, nut have no voting rights. i.e They have to accept the regulations with no say on their formation or implementation. By far JAA, 66, EASA were conceived to “counter and protect” against FAA/Feds or German LBA rules that were applies to allmost the rest of the World/FAA or Europe/LBA. British aviation has to be fat (=even inside a crazy Europe) to stay competitive ! Norway is in the EEA. Norway is governed by the ECJ via the EEA court that looks to ECJ (actually CJEU – the name changed some years ago) rulings. You can’t be part of a trading block without obeying the rules. The WTO has a formal process for dealing with complaints and if you don’t obey the determination you get kicked out. No need to bother with expensive mode s then. And for me I will be able to continue flying C172/152s and PA28 after April 8th when the derogation expires. The brilliant CAA on line Med Dec and not above 2000lbs MTOW negotiated with LAA allows me to fly them now with a managed medical condition. But EASA won’t after then. Lots of others like me will be forced out of GA then. By by. What a wonderful opportunity to align ourselves with the FAA system. So, you’re happy to live in a vassal state of the US? Don’t forget Iceland is a member of EASA. The non-EU member states can sit at the table and contribute evidence and advice in the discussion but are unable to vote though. The CAA is nothing like it was pre EASA, and would require a substantial investment to get back to how it was, and regulate as before. The cost of that would have to met by those of us in the industry (operators, maintenance organisations, training organisations, airports, pilots, engineers, etc). I doubt there is enough money in our industry, especially after the likes Easyjet have moved their AOC out of the UK. If you think your flying is expensive now, imagine the cost if that happens. EASA is not only about pilots, the engineering “level playing field ” never existed under EU rules. Many European countries just handed full B1 B2 licences to their engineers, the cornflake packet syndrome. Any change from that has to be an improvement in standards. 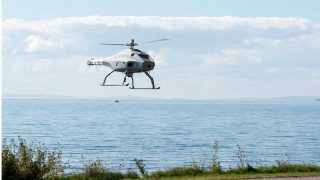 HMG and CAA may decide to leave the EASA regulatory system, but the UK industry and the licensed pilots and engineers working here don’t have to if they don’t want to. Outside of the EASA system we will be a third country. Pilots and engineers living in 3rd countries can hold European (FCL or 66) licences – they just have to choose the member State they want to be regulated by – e.g. Ireland? There are plenty of ‘European’ aircraft maintenance companies (Part M, 145) in 3rd countries and plenty of training schools offering Part-FCL courses in such countries too. Their approvals are regulated by EASA directly from Cologne. If the UK leaves EASA, any UK company can transfer its approval to EASA and any pilot or engineer can keep their Europe wide privileges by having their licence re-issued by another State. Training schools that want to continue to offer Part-FCL courses would have to do this and so would their instructors and examiners – UK national approvals and instructor/examiner certificates are not valid for Part-FCL. Companies and personnel that want to be UK national can stay with the CAA. UK airlines are alreaady taking steps to stay European by moving their principal places of business to mainland Europe – So expect Easyjet etc’s Part-145/M to transfer to EASA and their engineers to another Member State, along with the pilots. And does anyone seriously think that Rolls-Royce is going to leave the EASA system? The fact is that if the UK leaves EASA it will hand over all remaining regulatory oversight of big commercial aviation in the UK to EASA and other Member States. So much for taking back control! Having lost control of the commercial industry to Europe, the DfT and CAA may as well make things easy for UK registered aircraft by leaving in place the ANO provisions that make EASA certificates and licences valid for UK aircraft. They could then make UK national approvals, licences valid for all UK-registered aircraft, including those that were ‘EASA aircraft’. Then those building, owning, maintaining and flying aircraft in the UK could carry on pretty much as now. The only real effect would be that the role of CAA and DfT would be greatly diminished. That is why the UK should remain in the EASA system, whatever else happens. I’m just thinking of the administrative nightmare that will ensue with conducting cross-channel flights… even across the Irish border/sea. Leavers have really messed everything up for us. I’m also in limbo as to whether it’s worth me carrying on with my commercial training….